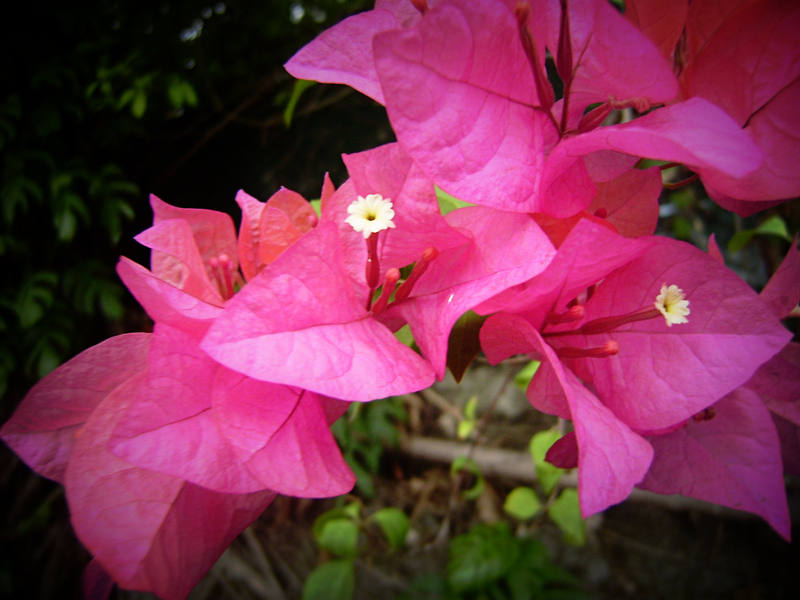 A bright rose-pink bougainvillea. This kind of plant is sometimes referred to as “paper flower“, you’ll know it when you see it. Since this thrives well in warm climates, you see a lot of this color in our area. 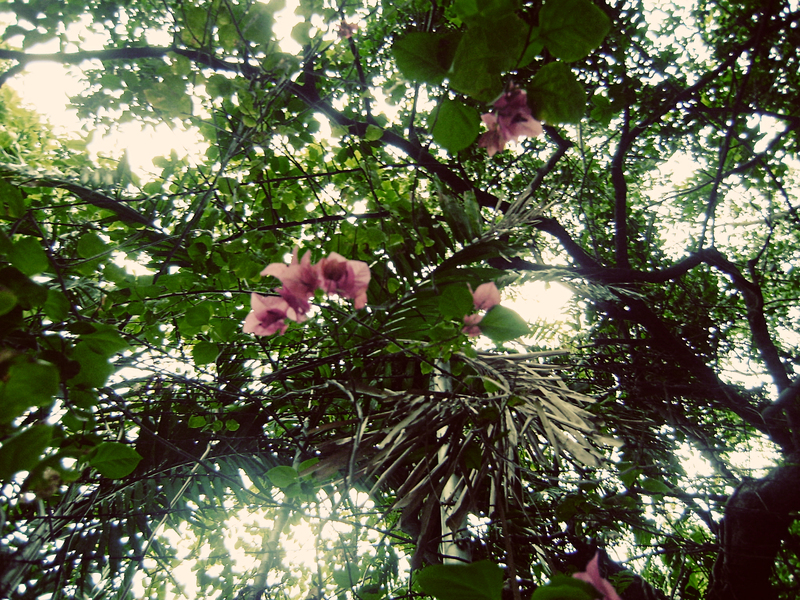 I have looked up for the flower, but it’s far from my sight. And when I have to zoom it to focus on the flower, I know it’ll not be enough. These leaves wake and rise even on a cloudy day. They look up to the sky. 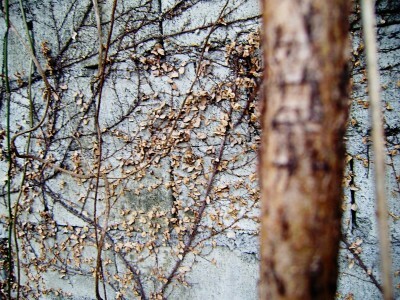 The dried leaves stuck on the wall…the ’til death do us part’ line doesn’t seem to work here..They hang on til they’re scorched and all dried up..lifeless leaves..